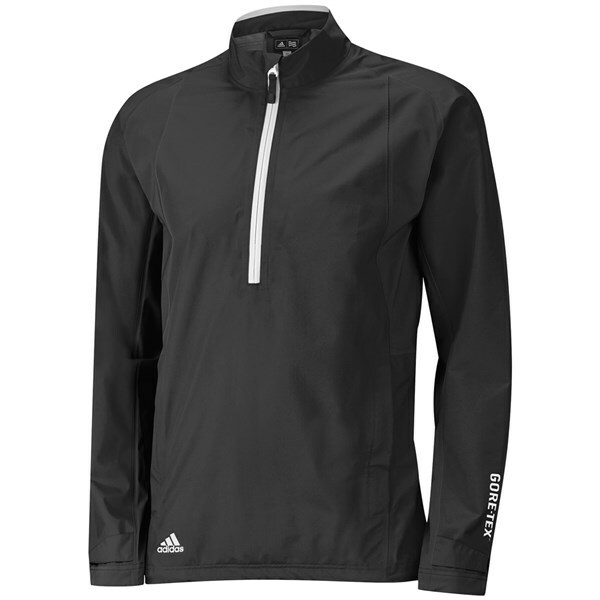 The adidas Gore-Tex Paclite half zip jacket has been created especially for those golfers who find wearing pullover style waterproof top more comfortable than a traditional full zip jacket. 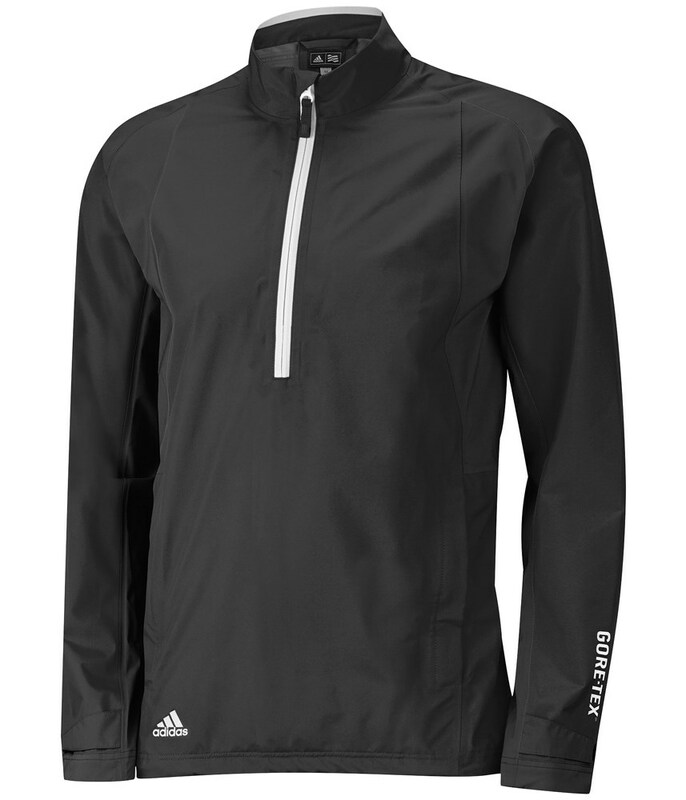 Two fantastic technologies have been used to create a seriously impressive stylish jacket that will protect you from the elements. Gore-Tex has been used to give you total protection from the rain, wind and cold as well give you excellent breathable properties that will allow you to wear the jacket all year round in all temperatures. Paclite means that there is a single layer of material to save weight and improve comfort as the material is exceptionally stretchy. 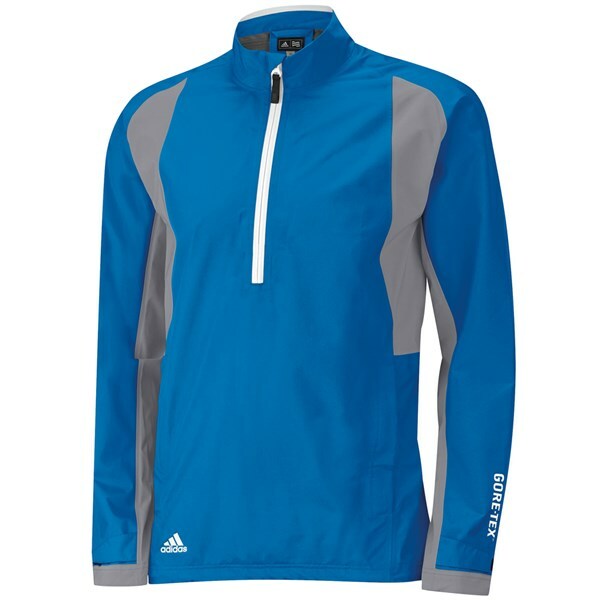 The adidas Gore-Tex Paclite half zip jacket is that light and comfortable that you will hardly realise you are wearing a jacket when it is raining. 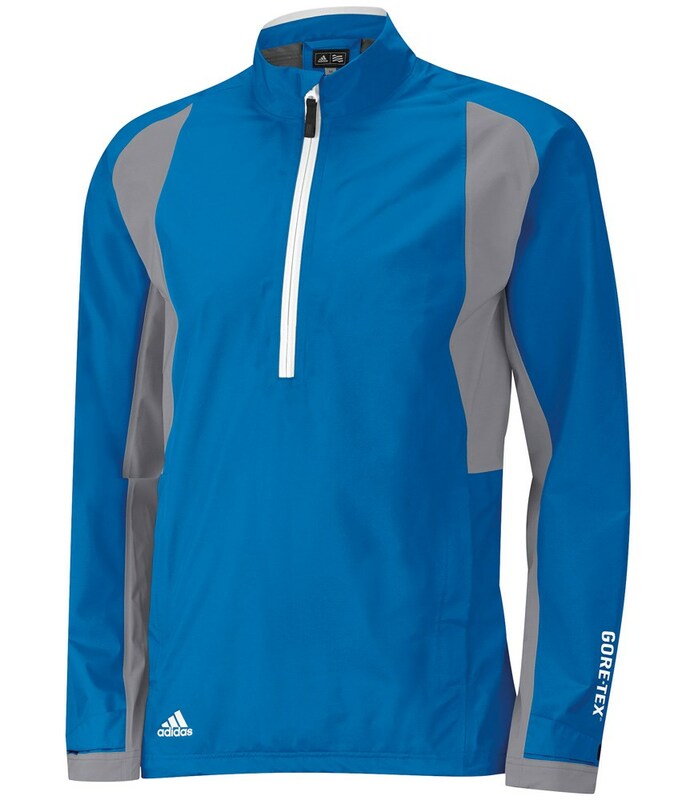 This super stylish adidas Gore-Tex Paclite half zip jacket has a mock neck design for improved comfort when the zip is fully done up and the half zip design comes in handy when it is warmer because all you need to do is undo the sip. Velcro cuffs have been used to ensure that you can get the perfect custom fit.